There exist in the uppermost echelon of brewing, a handful of rare beers that demand unmatched awe and respect. Often called “white whales,” these beers are meant for your bucket list. Ultra-exclusive, small-batch and made by uncompromising standards, these brews have reached royal status among beer lovers. Some cater to bitter-craving hopheads while others appeal to devotees of the sweet, dark stout. Some are available year-round and others make a fleeting appearance for a brief 24 hours. No matter where they come from, these beers pose a challenge to their fans. All have attained Beer Advocate’s world-class status, and each is universally considered one of the best beers you’ll ever cross paths with. If you’re game for a little adventure, these rare brews guarantee a game-changing experience. Catch ’em if you can. You’ve probably heard of this famous triple IPA, and maybe you’ve even tried its more attainable uncle, Pliny the Elder. While the elder brew is available year-round in bottles, it’s the younger beer that attracts fan fervor (and commands a steady number one rating). 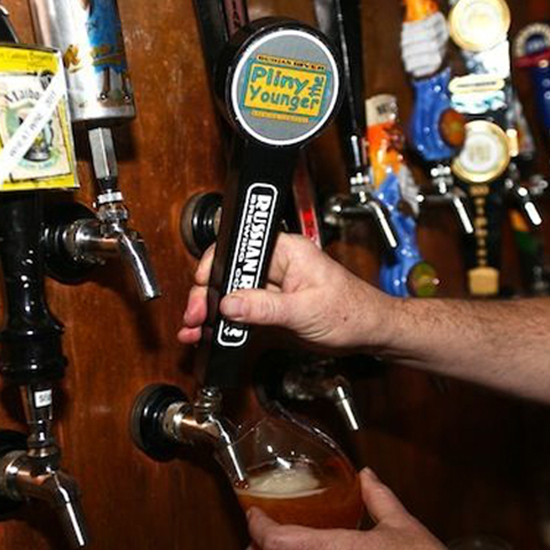 With triple the amount of hops as a regular IPA, Pliny the Younger clocks in at a whopping 11-percent ABV and delivers intoxicating aromatics with a shockingly smooth flavor bearing notes of pine and pineapple. Hopheads line up in droves the first Friday in February for a taste of the annual release, and thousands of fans drive to Santa Rosa from around the country for the special occasion. Why, you ask? The sought-after suds are only available on draft at the Russian River brewpub and at select distributors on the west coast and in Philadelphia. Once Pliny the Younger is gone, you won’t see him again until the following year. Heady Topper’s fans would agree that the brewery is surpassing that goal, as this “ode to hops” doesn’t linger on store shelves longer than a few seconds. 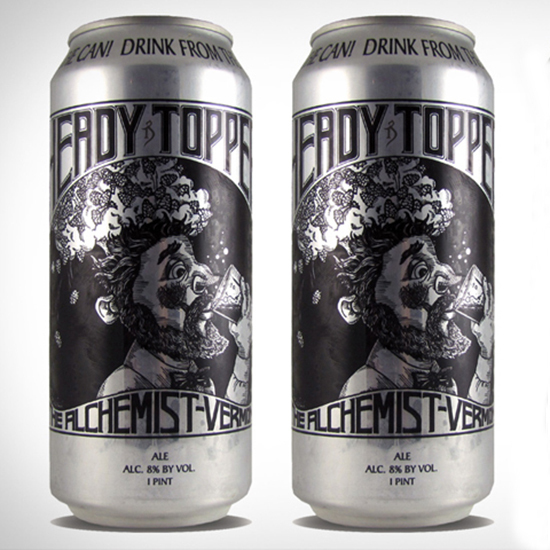 Though it’s technically available year-round, Heady Topper can only be found at select Vermont locations that receive a small allocation of suds on a specific day of the week. Even then, rabid fans have to race against time to claim their four-packs, and some resort to selling the rare cans at inflated prices online. All this attention is purely word-of-mouth: The brewery doesn’t do any advertising. Is it worth the hype? Believers will tell you it’s the greatest beer on earth, and it’s hard to argue with the overpowering aroma of honeysuckle and freshly-cut grass and layered flavors of juicy tropical fruits. Want a taste of the reclusive “Westy 12?” You might have to trek deep into the Belgian countryside and beg for a taste of the brew at St. Sixtus Abbey. 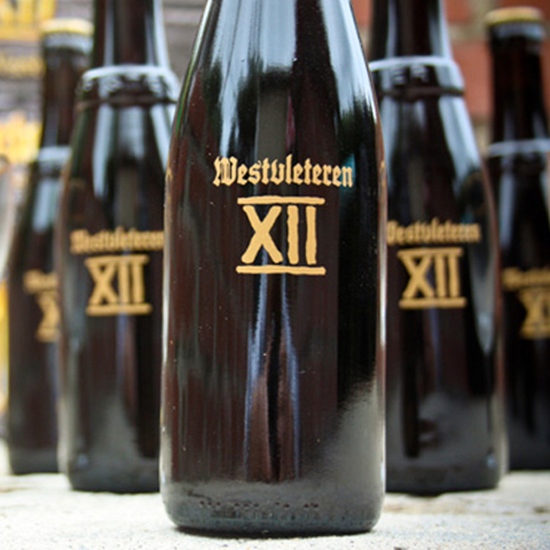 Historically sold by reservation only, the highly-prized Belgian quadrupel called Westvleteren 12 is brewed by Trappist monks who sell just enough beer to sustain their modest life at the abbey. That means production is limited to around 3,800 barrels a year, a number that’s remained unchanged since the 1940s. Sold in unmarked bottles, the rich brown Westy 12 is celebrated for its complex flavors of figs, raisins, dark chocolate and espresso—a blend that’s believed to be the result of the abbey’s natural yeast strains. The beer has gained worldwide devotion, and fans have typically had to pre-book limited orders by telephone and physically visit the abbey to pick up their allotment, which is tracked by license plate number. For a short time in 2012, there was an exception to this strict process. The abbey desperately required renovation and the monks needed to raise money. The solution? Allow the sale of Westvleteren 12 in the US. For that limited period, American beer fanatics were able to find Westy 12 at select regional distributors, but once the abbey’s restoration was complete, the monks returned to their old habits, and Westy is now again as rare as ever. 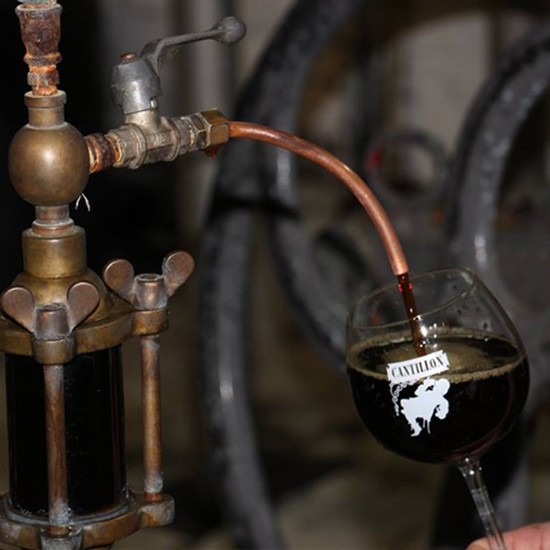 The arrival of spring signals an important holiday for Indiana beer lovers: Dark Lord Day. Every April, Three Floyds Brewing hosts a one-day festival dedicated to its most popular offering, a “demonic Russian-style imperial stout” called Dark Lord. Brewed with coffee, Mexican vanilla and Indian sugar, this bold stout is pitch black and viscous at a burly 15-percent ABV. To properly toast Dark Lord’s limited availability, the brewery throws a day-long rager, complete with a roster of heavy metal bands and flowing tap lists. Fans wait all year to attend and tickets sell out instantly, with each attendee limited to buying four bottles of Dark Lord (at $20 each). 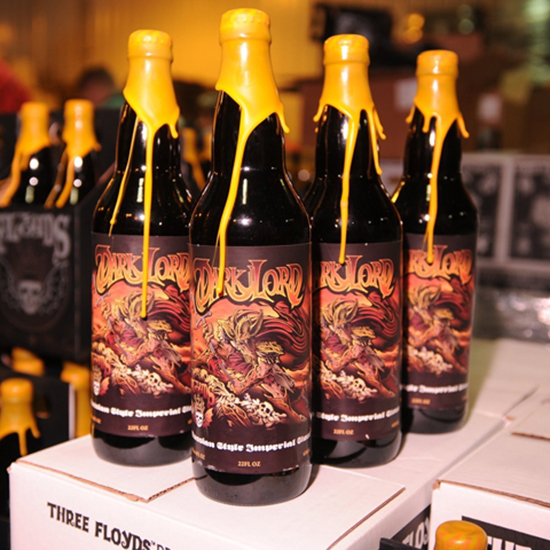 Once fans are inside the festival, they receive a second ticket that enters them into a lottery for the chance to buy a bottle of barrel-aged Dark Lord, which commands a hefty $50 price tag. Barrel-aged variants include Dark Lord aged in bourbon, cognac and Moscatel barrels, and are all considered world-class. Oh, and the meaning behind the messy wax seals dripping down the bottles? Every Dark Lord vintage has its own signature color: red wax for 2004, orange for 2005, gold for 2006 and so on. Keep an eye out for older bottles—and get ready to snag tickets in April. Mark your calendars for September 19. That special date heralds this year’s Zwanze Day, a celebration of one of Belgium’s most desired sour beers. Cantillon produces some of the world’s finest lambics, and the limited-edition experimental Zwanze has become an international superstar since its introduction in 2008. That first bottling was brewed with tart rhubarb. But the recipe changes each year, and Zwanze’s release has grown into a bonafide cult for lambic lovers. The only way to get your hands on a glass of this puckeringly sour brew? Check the official list of Zwanze Day locations that will be serving the beer on draft. Kegs are tapped simultaneously worldwide on Zwanze Day, bringing fans together in a shared experience across all borders and time zones. This year’s Zwanze is a “Brussels dark ale,” a spontaneously fermented stout that will be available in select countries and a handful of beer bars from Brooklyn to Anchorage, Alaska. If you live near one of these lucky establishments, make it your mission to try a glass of this once-in-a-lifetime brew.